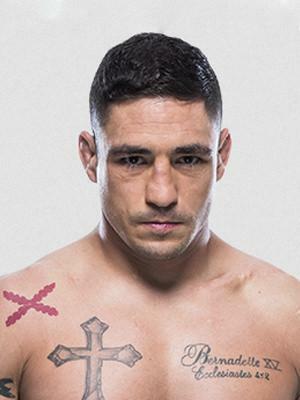 Diego Sanchez is a professional mixed martial artist (MMA) born on 31st December 1981 in Albuquerque, New Mexico USA, and is best known for becoming the Welterweight Champion at King of the Cage in 2002, and being the winner of “The Ultimate Fighter 1” middleweight tournament. He currently competes in the Welterweight division of the Ultimate Fighting Championship (UFC). Have you ever wondered how rich Diego Sanchez is? According to sources it has been estimated that Diego Sanchez’s overall net worth is $100,000, as of February 2018, accumulated through a lucrative professional sports career, which he started in 2002. Since he is still very active in sports, his net worth continues to grow. Diego was born into a Mexican-American family, and grew up in his hometown of Albuquerque. While attending high school, Sanchez practiced wrestling and became a high school state champion as a senior. Soon after he took up mixed martial arts, while he was working for UPS, and eventually joined Jackson’s Submission Fighting. He made his MMA debut in the promotion Ring of Fire in 2002, and won the fight by submission despite having an injured heel. Diego then became a contestant on the first season of “The Ultimate Fighter” show, after making an unblemished record of 11-0. During his participation on the show, and having won a match against finalist Kenny Florian, he won a contract with the UFC and became the middleweight winner of the show. After “The Ultimate Fighter” was finished, Sanchez made his debut in the welterweight category against Brian Gassaway at UFC 54. New victories soon followed in his fights at UFC 60, UFC Fight Night 6 and The Ultimate Fighter 2 Finale. In December 2006 he faced Joe Riggs at UFC Fight Night 7, but this event lead to Diego landing a three-month suspension, as he tested positive for agents found in marijuana. Regardless, his net worth was firmly established. In late 2007, Sanchez announced he would move to the lightweight division and made his debut in February 2009 at UFC 95 against Joe Stevenson. At the finale of “The Ultimate Fighter: United States vs. United Kingdom Finale, he won a fight against Clay Guida and won Fight of the Night honors, and the fight was later declared “Fight of the Year” by UFC and several MMA magazines. In May 2010, Diego decided to return to the welterweight division, and faced John Hathaway at UFC 114, but eventually lost the fight. For his next fight, at UFC 121, he rejoined Jackson’s Submission Fighting and won the bout. Sanchez earned his next Fight of the Night honors in March 2011 after defeating Martin Kampmann at UFC Live: Sanchez vs. Kampmann. After a minor pause in his play caused by knee injuries, Diego once again returned to the lightweight category in March 2013, and faced Takanori Gomi at UFC on Fuel TV8. However, since he failed to achieve the weight limit at the weigh-in, he was fined 20% of his earnings. Diego continued his appearances at various events, facing fighters such as Gilber Melendez, Myles Jury and Ross Pearson. After recovering from surgery which repaired his collarbone, Sanchez returned in the featherweight division in November 2015 for a short stint, before facing Jim Miller in the lightweight category in March the following year. Diego’s return to welterweight division happened in November 2017 at UFC Fight Night: Poirier vs. Pettis, losing to Isaac Marquez who suffers from Downs syndrome.. When it comes to his private life, Sanchez has been married to Bernadette Sanchez since 2011, and the couple has children. 4 Lost his first professional MMA fight at UFC 69 to Josh Koscheck by Unanimous Decision. 5 MMA record is 17-1-0 (Sherdog.com), 19-1-0 (UFC.com) as of UFC 69.